A couple looking to get out of their rut decides to sign up to foster a child. They wind up getting a trio of siblings, the oldest of which is 15 years old. The couple finds it difficult to integrate the kids into their family, and the kids struggle to comprehend that they are loved and wanted. Having a child is hard enough when you raise it from birth. When you go from having zero to three kids overnight, ranging in age from grade school to high school, the learning curve is going to be pretty damn steep. 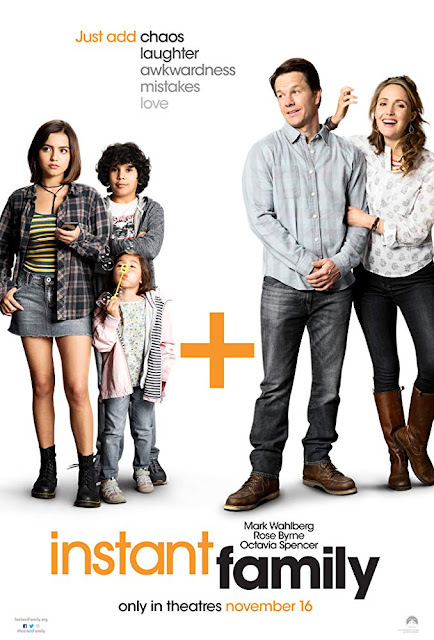 "Instant Family" is directed by Sean Anders, who has helmed other films like "That's My Boy," "Daddy's Home" and "Daddy's Home 2." He also helped write the screenplay along with "Dumb and Dumber To" writer John Morris. This film is a fictional story but is inspired by Anders' real-life experiences adopting his kids. It revolves around Pete (Mark Wahlberg) and Ellie (Rose Byrne), a married couple who make money flipping houses. After a bit of a back and forth about whether or not they want to have and/or are ready for kids, almost on a whim, the two decide to become foster parents. They wind up fostering three siblings, including 15-year-old Lizzy (Isabela Moner) and her younger brother and sister Juan (Gustavo Quiroz) and Lita (Julianna Gamiz). The new parents and experienced foster children go through an adjustment period and must learn to live with and eventually love each other. Based solely on the (exceedingly) unfunny trailers for "Instant Family," we have to admit, we weren't expecting much from this movie. We are not big fans of the "Daddy's Home" series, and almost everything Sean Anders has directed has been a bust. We definitely aren't fans of John Morris's writing: "Dumb and Dumber To" was the worst movie we saw in 2014. 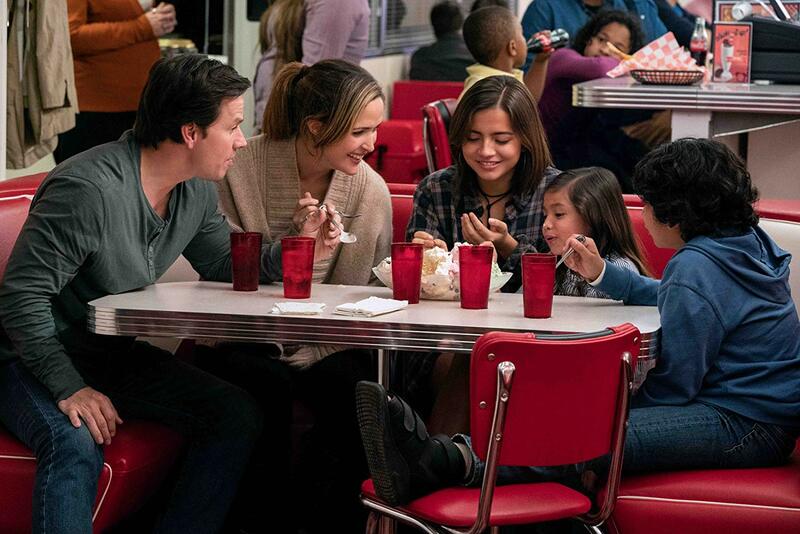 We are pleasantly surprised by how much we genuinely enjoyed "Instant Family." This is a lovely, funny movie that shows how two previously independent people must learn very quickly how to become parents overnight. There is a lot of awkward comedy and situational humor that had us laughing out loud from start to finish. We have always loved Rose Byrne and think she is a talented, underappreciated actress in both dramas and comedies. 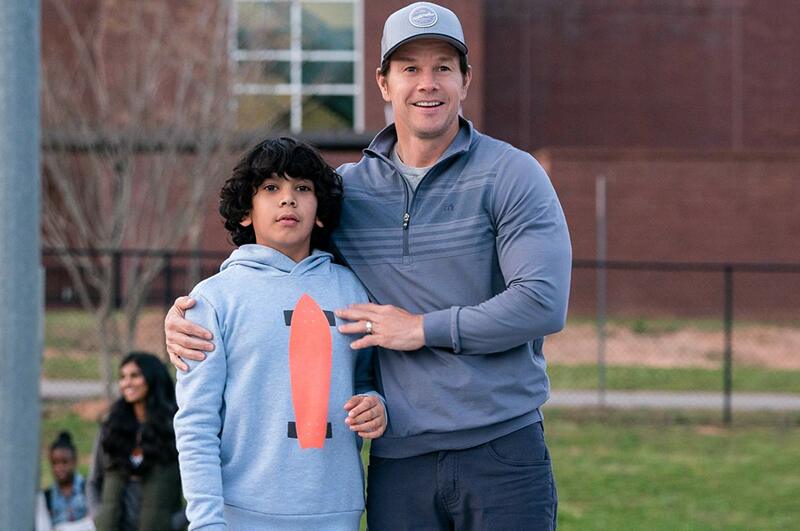 We are more hit and miss when it comes to Mark Wahlberg, but he is surprisingly great here! He offers up some very amusing, tender moments. All the kids are great as well. Isabela Moner's Lizzy has built a wall around her because of the years of hardships and disappointment she has experienced in her young life. She butts heads with Ellie and Pete one more than one occasion because she feels like they are only fostering her and her siblings out of pity. Lizzy must learn to break down these walls, and Pete and Ellie must find ways to show Lizzy that she's more than a charity case. Gustavo Quiroz's Juan is a sensitive type who is always apologizing for everything to a fault, and while Julianna Gamiz's Lita is adorable as can be, she has a tendency to scream and curse until she gets her way. What "Instant Family" does best is it explores the fostering and adoption system in ways other films haven't quite captured yet. From "aging out" of the system to parents who abuse it for monetary gain to what happens when parents come back in the picture post-fostering, the harsh realities of fostering are on full display here. This movie is much more effective than we assumed it would be, and it shattered our expectations in more ways than one. "Instant Family" has loads of humor and heart, tons of excellent performances, and a much-needed commentary about fostering/adoption. Sure, it can be a bit schmaltzy from time to time, and there are a couple of moments that are a little contrived, but it really didn't bother us because we were having such a good time watching it. It's a story that will make you laugh, and it may even make you cry (which, let's be honest, we never expected from a Mark Wahlberg movie). "Instant Family" is definitely one worth checking out, especially during the holidays.